So you’ve managed to get your hands on a shiny new Galaxy S3 handset. OOooh, shiny! You want it to stay that way, so that means a case. Below we take a look at two great choices from Mobilefun. This case covers the back, and also the top and bottom edges of the phone, and has a rather nice mesh appearance along with the Galaxy S3 logo. That’s not the best thing about it though… the best bit is the little hump about three quarters down the back of the phone on the right, as pictured, this slot holds a coin turning the case into a kick stand! Brilliant! It’s also the slimmest of the two, and really doesn’t feel like it adds much bulk to the phone. If you’d rather have both sides of the phone covered, however, the next case may be a better option. The Genuine Samsung Galaxy S3 Flip Case covers that massive screen when not in use, offering maximum protection. 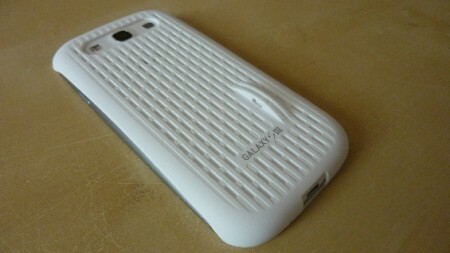 It also looks the part with the Samsung Galaxy S3 logo in silver on the outside of the case (pictured below). Both sides of this case are very slim, but sturdy enough to protect your new toy. I usually avoid this type of case, but the Galaxy S3 starts out so slim, that even wrapped on each side, it’s still very pocketable indeed and feels great in the hand. This is my preferred case of the two, but then I don’t really watch loads of video on the go. I imagine if you commuted on a train every day for example, the Mesh Vent case would be ideal. Both cases are excellent, and do a great job of protecting your new handset. 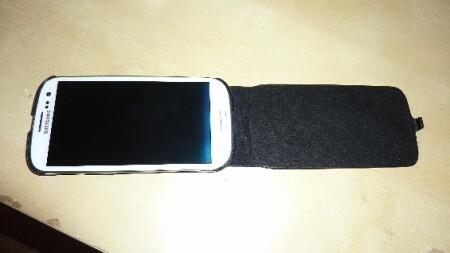 Thanks to MobileFun.co.uk where more Galaxy SIII covers and Galaxy S3 accessories are available. Have any questions? Comments? 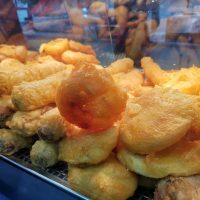 Pop along to our forum.